In the insurance world, exposure means more than the result of your fly being down, or the plumber working on your pipes. Exposure relates to your potential risk that’ll cause a loss which requires filing a claim. Insurance companies will measure your exposure based on numerous factors. These factors play a role in the final premium. These exposures put you at risk for a loss. If your risk is too high, insurance companies could deny coverage. These factors help to determine the odds that you will have a claim. Insurance companies are hesitant to insure someone who may end up costing them a boat load of money because it can affect their business’s profits. 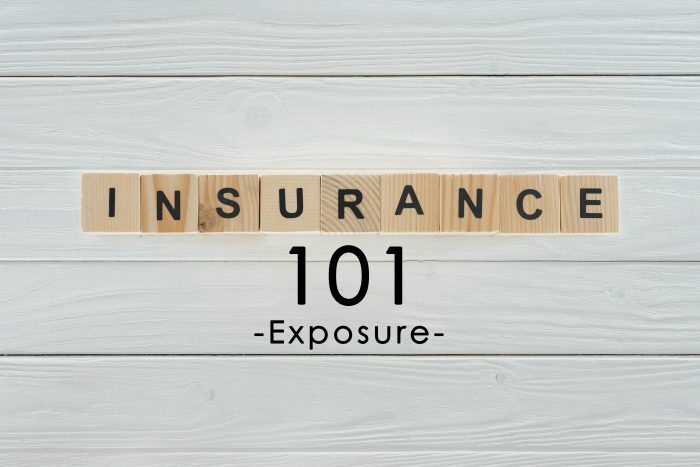 If you ever hear this term from an insurance company, ask them what your exposures are and see if there’s anything you can do to change it to decrease your rates.